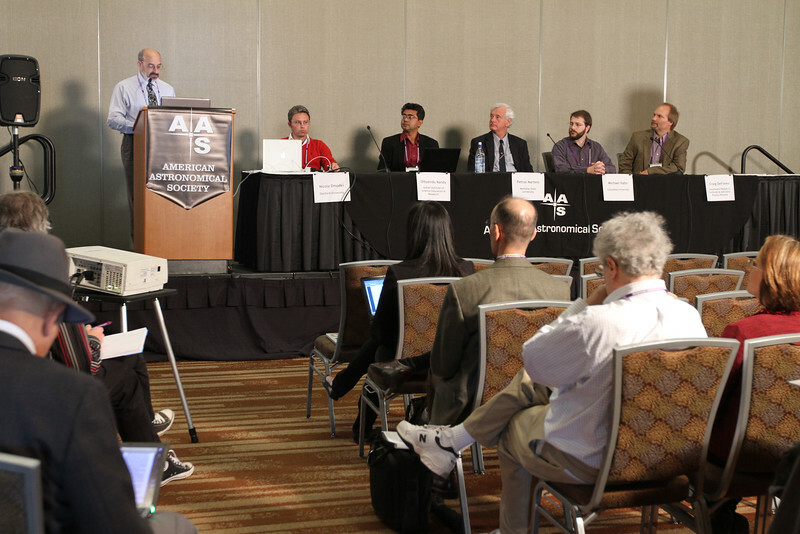 The meeting’s first press conference, on Monday morning, featured results from scientific sessions convened by the AAS Solar Physics Division (SPD). AAS Press Officer Rick Fienberg emceed the proceedings, which included presentations by Nicola Omodei (Stanford Univ. ), Dibyendu Nandy (Indian Institute of Science Education & Research), Piet Martens (Montana State Univ. ), Michael Hahn (Columbia Univ. ), and SPD Press Officer Craig DeForest (Southwest Research Institute). AAS photo © 2012 Joson Images.